To put it bluntly, when you die the Government can take 40% inheritance tax of almost everything you owned over £325,000. This includes any assets such as property, cash in bank accounts, foreign assets, and any assets that you have given away in the past seven years. There are some exemptions to this rule such as if you leave your assets to your spouse, a civil partner or a charity. There could be some relief on business or agricultural property and these relief rates are extremely specific. When making your will with us we will have a one to one meeting with you, take full details of your family and wishes for your loved ones. 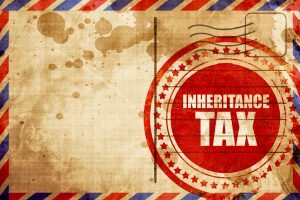 We can discuss various methods on how inheritance tax can be reduced or negated for your personal circumstances. There are some things that you can do regarding your investments that give you an income and reduce capital from your estate. We work with established independent financial advisers and we can assist you in obtaining this advice if the need arises. For advice on inheritance tax planning, please give us a call on 01903 700303 and we can talk you through the various options and choices that you have.